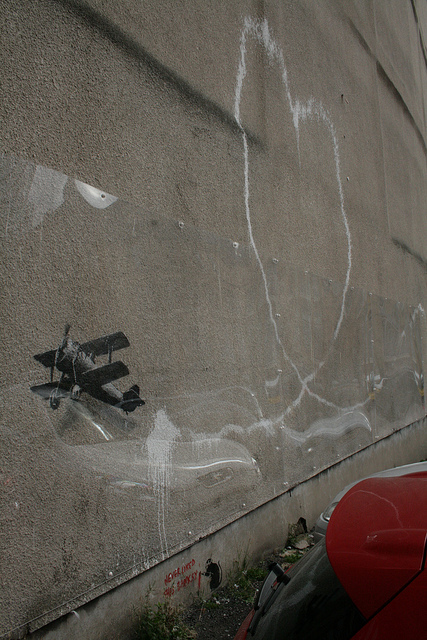 Banksy’s Love Plane had become something of a masterpiece in Liverpool’s Rumford Place. That is, until it was cut out from its original site and replaced with a plaque re-directing disappointed admirers to a website explaining the mysterious disappearance. The artwork will be returned to Liverpool looking better than ever to hang alongside other Banksy pieces at the Gallery at Berry House Baltic Triangle, due to launch in Liverpool shortly.